Imagine this… you’re on vacation with your family and your child breaks their arm. Now you need to take them to the closest hospital for x-rays and a cast. In this urgent situation where you need to find a hospital, what’s your first instinct? 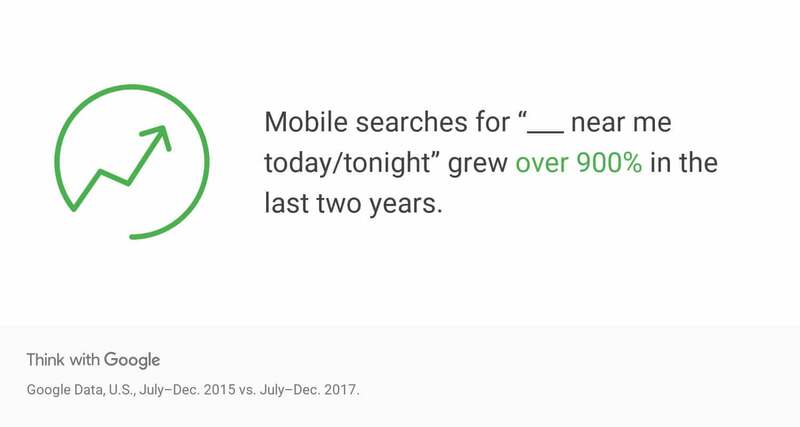 If you’re like 87% of smartphone users, you’re turning to search in your moment of need. But what happens when your search doesn’t produce the results you need because the closest hospital isn’t even on the first page of search results. Healthcare providers have a duty to provide patients with immediate information about their hospitals, doctors, pharmacies, and any other services under their corporation. 21% of people use online search to find a hospital or doctor while 80% of Americans use search to research a wide variety of healthcare information according to the Pew Internet & American Life Project. In an online-first world, it’s more important than ever for healthcare providers to maintain and optimize their local business listings. Unlike most businesses, healthcare services often have multiple listings they need to manage, even if they’re all at the same location. The average hospital could have hundreds of business listings. From the ER to the pharmacy, the physicians, to the different departments in the hospital itself like pediatrics, orthopedics, and so on. And that’s not including the clinics and specialty services that may be located at different locations. Because there are so many services offered from healthcare providers, it’s vital their listings are always accurate. 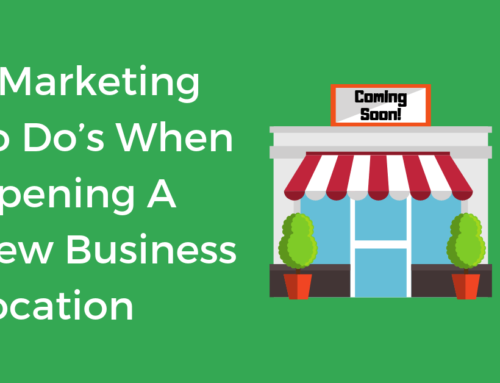 73% of people lose trust in a business if their listing information is inaccurate. In a time when brand loyalty is depreciating, healthcare providers can’t afford to lose patients due to inaccurate listing information. From 2015-2017, Google reported a 900% increase in “near me” searches. As more and more people turn to local search in a moment of need, it’s vital that businesses are providing people with the information they are looking for when they need it. 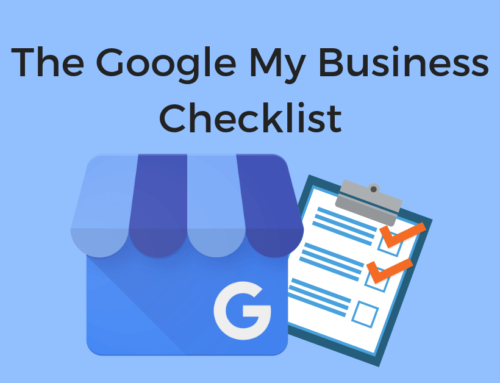 This means claiming, maintaining, and optimizing their local business listings across every search engine and online business directory. For healthcare services, people are turning to Google, Yelp, ZocDoc, Healthgrades, and many other local listing providers to find the information they need. Whether patients are searching for healthcare plans, doctors, pharmacies or emergency services, the search starts online. That means they’re taking into consideration things like location, services offered, and reviews. And they’re doing all of this before they even make it to your website. In order to successfully manage multiple listings across hundreds of listing directories, healthcare providers turn to software like Chatmeter, to help manage their online information. Remember our broken arm scenario? What if the closest hospital had successfully managed their local business listings and appeared on the first page of local search results? Not only would this have saved the family time and headache, but it would have meant more revenue for the hospital. In addition to managing their locations, healthcare systems need to manage the listings for their doctors as well. 54% of millennials search for a doctor online and rely on online physician ratings before visiting a doctor. Doctors are reviewed and searched for just as much as the healthcare system itself, and by managing their listings it increases the visibility of the healthcare system as a whole. As more and more people turn to online reviews to make important decisions, it’s essential businesses have a strategy for effectively managing their online reputation. Chatmeter works with healthcare providers to increase their online visibility and improve the entire customer experience starting from the moment they search. Recently, Chatmeter partnered with one of America’s biggest healthcare providers to increase their page-1 rankings by 3,600%. In addition to listing management, Chatmeter worked with the client to improve their review response strategy and as a result, their average star ratings across multiple listing directories increased from 3.6 to 4.5. It’s results like these that prove the entire patient experience starts online and if a healthcare provider is not visible online, they’re letting their patients down before they even visit. 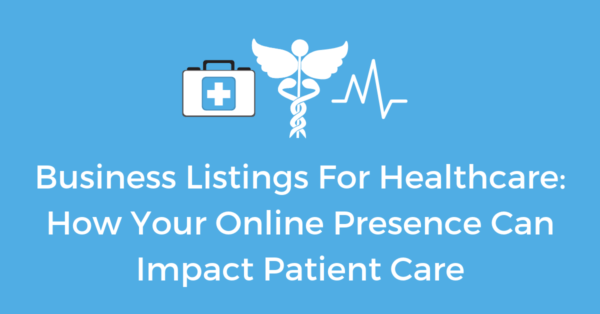 Managing business listings for healthcare means putting the patient first and providing them with easy access to the information they need when they need it most. To see the health of your online presence, click here to schedule a free brand audit.